No longer sitting in the shadow of cool-kid cities like San Francisco and L.A., California’s capital is showing off some newfound swagger. Its booming craft beer and cocktail culture, an explosion of noteworthy restaurants, and thriving arts scene are all turning heads like never before. 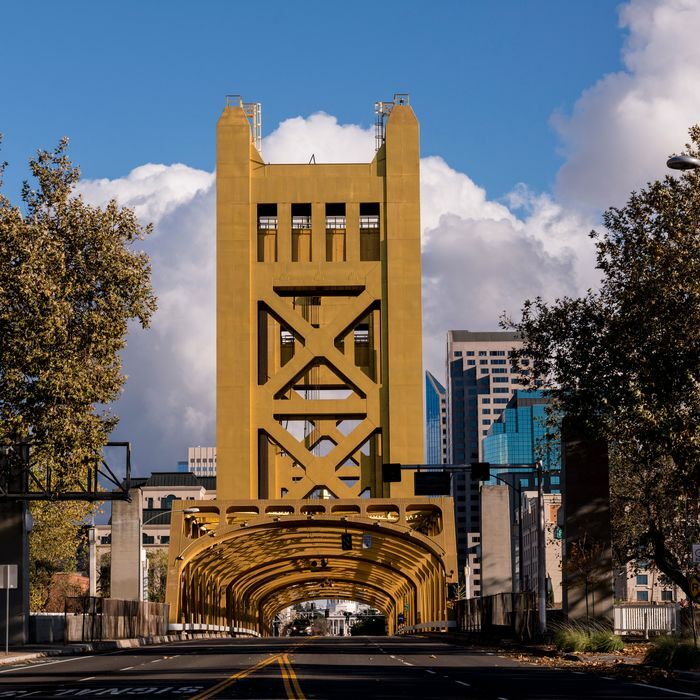 But come for a visit, and you’ll find that even with its recent popularity, Sac still sticks to its old-school roots with friendly locals, tree-lined streets that beckon for a bike ride, and lively, welcoming neighborhoods. Inspired by his London roots and California cooking style, Oliver Ridgeway’s Camden Spit & Larder is a brand-new eatery in the booming Downtown Commons neighborhood. The menu features unfussy, rib-sticking mains like spit-roasted beef, chicken, and pork (from $27) and plates perfect for sharing, like salt cod fritters ($9) and steak tartar with cured egg yolk ($18), plus caviar and a robust cheese selection. 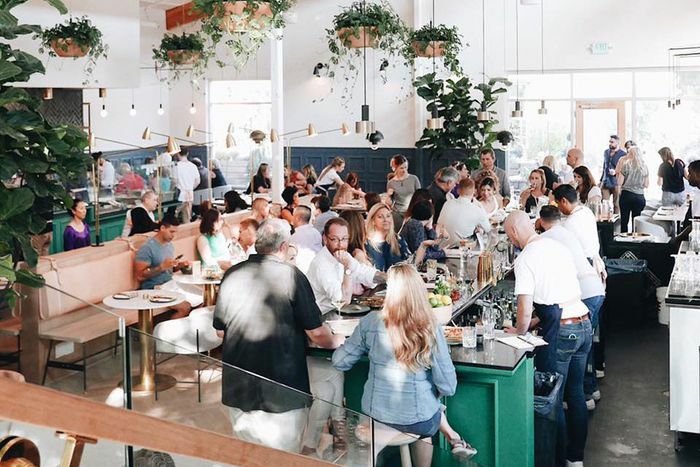 The 4,000-square-foot space is a stunner, with a central bar area, British design touches like Windsor chairs and houndstooth ottomans, and an open kitchen and adjoining bar space where patrons can watch Ridgeway and his team in action. One of the city’s most highly anticipated restaurants, Beast + Bounty finally opened in July following nearly two years of meticulous planning and construction (and several pushed-back opening dates). Helmed by the venerable entrepreneur–and–executive chef duo of Michael Hargis and Brock Macdonald, the restaurant, whose green-and-pink interior alone is worth a visit, revolves around hearth-driven cuisine, with a wood-fired oven anchoring the 2,200-square-foot space and a menu that gives as much weight to vegetarian (“bounty”) dishes as meat-centric (“beast”) ones. Standout dishes include grilled octopus ($24) and meat- or veggie-centric ramen ($18 and $17, respectively). For a sweet ending, head to the adjacent Milk Money for housemade ice cream and artisanal doughnuts. Sink your teeth into authentic flavors at the aptly named South, whose husband-and-wife team of Ian and N’Gina Kavookjian (she’s originally from New Orleans) have created a cult following with their family-recipe-inspired dishes. The menu is divided into “Old School” favorites like hush puppies ($9) and fried chicken ($14) served with greens and a biscuit, and “New School” takes on traditional dishes, like a pimento-cheese fritter ($9) or the seafood hot pot ($27), brimming with shellfish, corn, and new potatoes; be sure to save room for the delectable housemade banana pudding ($6). The limited cocktail menu includes a hurricane ($10), and, true to Southern form, you can also get a nip of bourbon (from $6) — which you might want to order while you wait in the almost-always-long line. Plan to linger at the Empress Tavern, a subterranean stunner below the historic Crest Theatre, where two movie theaters used to reside. Meat takes center stage on the menu, from traditional favorites including succulent rotisserie chicken ($20) and prime rib French dip ($24) to family-style show-stoppers like the côte de boeuf, a 32-ounce bone-in rib-eye that’s carved tableside ($150, including salad and sides). Located just upstairs in a pocket-size space, Mother is owned by the same restaurant group but offers a wholly different dining experience, churning out hearty vegetarian and vegan cuisine. The chicken-fried mushroom po’boy ($10) and the T-Man’s Wedding Lasagne ($15) are perennial favorites; if you go for lunch, prepare for a wait. 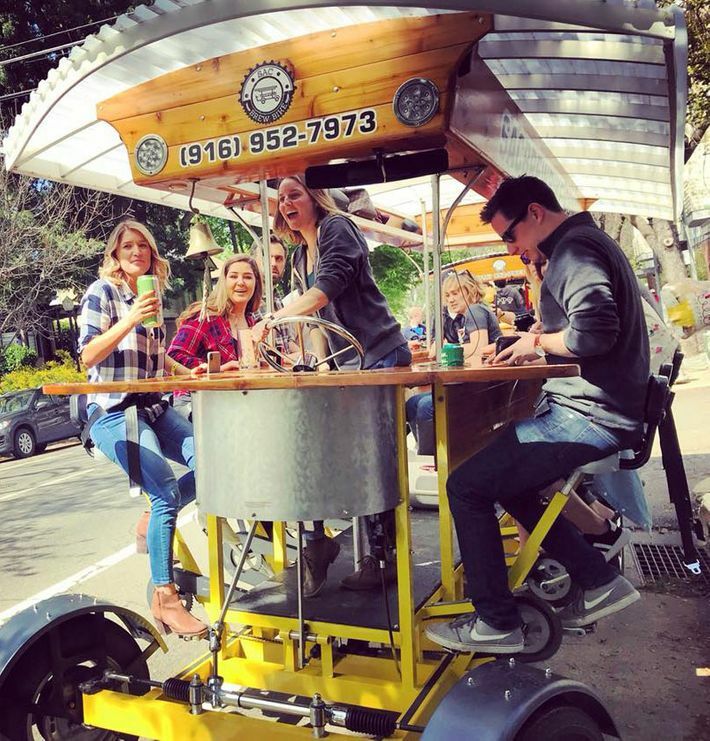 Raise a glass to Sacramento’s red-hot craft-beer scene with a ride on the whimsical Sac Brew Bike, a 15-passenger trolley-style contraption that you’ll pedal around to some of the city’s most popular breweries, including Der Biergarten, a German-style spot made from shipping containers (from $27 per person). Prefer to paddle rather than pedal? Hop aboard the brand-new Sac Brew Boat, which offers 90-minute BYOB tours along the Sacramento River (from $30 per person). Bike Dog Brewing has a dog-friendly tasting room in industrial West Sacramento and a newly opened tap room in downtown. And for a truly hands-on experience, check out Hop School at Ruhstaller (classes run from April to September; $30 each). Participants dig into how hops are planted and harvested; the fee includes a locally sourced lunch, beer, and a donation to the nonprofit Center for Land Based Learning. Sac has upped its art game in a big way in recent years, starting with a $100 million expansion in 2010 that tripled the gallery space of the Crocker Art Museum. 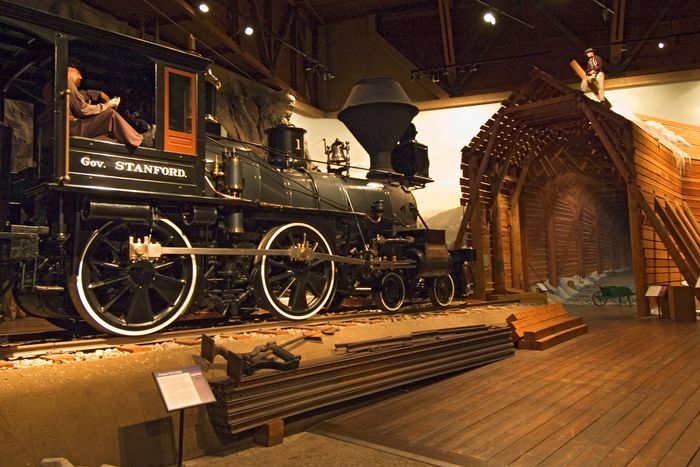 Opened in 1885, the Crocker was the first museum available to the public in the West; keep an eye out for the $40 million event space and adjacent outdoor art park. Another noteworthy new addition is the snazzy Sofia Tsakopoulos Center for the Arts (also known as the Sofia), the just-unveiled performing-arts complex for the long-standing B Street Theatre (performances start around $9). Sac’s street-art scene is equally impressive, with dozens of massive murals and graffiti artworks brightening building façades and alleyways throughout town. Get the inside scoop on the artists behind them from longtime local Jenn Kistler-McCoy, who offers running and walking tours, as well as a Lady Bird–inspired option that stops by some of the landmarks in the movie. Sac is brimming with a creative, DIY culture and the enterprising types who feed it. A fitting starting point for digging into the artisan action is the booming Historic R Street District, a former industrial area whose warehouses have been converted into galleries, shops, and boutiques. The Warehouse Artists Lofts, for example, is a 9,000-square-foot mixed-use space that houses trendy spots like Bottle & Barlow, a hybrid barbershop-bar that keeps customers sitting pretty while sipping cocktails and getting throwback services like a straight-razor shave. Kicksville Vinyl and Vintage, meanwhile, is a delicious den of retro treasures, from 45s from the 1950s to funky home décor that would be right at home in Jack Tripper’s pad. Also worth a stop nearby: the nearby All Good flagship store, where you can stock up on quintessentially Californian apparel; Benjamins, which custom-crafts exquisite shoes; and Old Gold, a beautifully curated shop that specializes in bespoke and vintage jewelry and home décor. Sac’s incredible array of culinary artisans will tempt your taste buds, too, from the sumptuous plant-based gelatos of Conscious Creamery (find the sweet treats at events listed on the website) to delectable shrubs and switchels, perfect for mixing up a kicky cocktail, by Burly Beverages, whose recently opened tasting room and gift shop is a home mixologist’s dream. Stay in the style in Sac’s booming Downtown Commons, or DoCo, district at the dazzling Kimpton Sawyer Hotel. The palatial, light-filled lobby and upscale rooms (from around $250), done up in subdued but sophisticated palettes of gray and cream, make it the snazziest digs in town. On-site dining options abound — get your protein fix at Echo & Rig, whose handsome, 7,000-square-foot dining room, accented with marble and wood flooring and leather chairs, marks the second outpost of the Las Vegas–based restaurant; or get your game face on at Punch Bowl Social, a sprawling restaurant and entertainment space brimming with big-screen TVs, video games, and even a bowling alley. The hotel also has a pair of custom-designed bikes perfect for cruising, and you can snag a lounge chair at the beautiful pool area, which transforms into a see-and-be-scene lounge, Revival, at night. 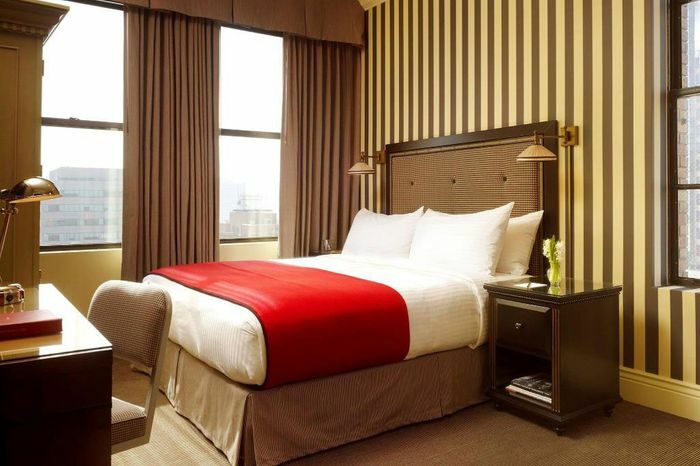 Revel in Gatsby-style glam at the Citizen Hotel. This historic circa-1925 building oozes with the dapper charm of the 1920s, with rows of leather-bound books and black-and-white drawings from a famous mid-century Sacramento Bee cartoon in the foyer, and rooms (from around $250) that feature stately decor with soaring ceilings and pops of red throughout. The real star of the show, however, is the on-site Grange Restaurant, a pioneer in the farm-to-fork movement. Sacramento native Dane Blom, a graduate of the Culinary Institute of America, has overhauled the menu since being named executive chef in March — try the savory foie gras terrine, made with blackberries and hazelnuts ($21), and the corn agnolotti with pork ragù ($25). Make your home in the heart of midtown at the Inn Off Capitol Park, located an easy walk from the state-capitol building and its gorgeous namesake park, with palm-lined pathways perfect for strolling and convenient access to museums and other attractions. The property’s unassuming façade belies bright, spiffy rooms (from $129) with crisp white interiors accented by black-and-white photos of the capitol; some rooms come with an extra sitting area set off by French doors that’s perfect for stashing a suitcase. Enjoy complimentary breakfast in the cheery, light-filled atrium before setting off for a day of exploration. From Marvin Maldonado, Sacramento native and architect. He’s also the co-owner, with his wife, Bridgette, of Federalist Public House, a convivial neighborhood spot designed from shipping containers that serves up artisanal pizzas and local beer — and is home to an outdoor bocce court.